The project involved the remodelling of the East Wing on the main school site at Altrincham Grammar School for Girls in the Bowdon Conservation Area. A new entrance and reception area, 3 new science laboratories, staff facilities, pupil toilets and disabled access were provided. 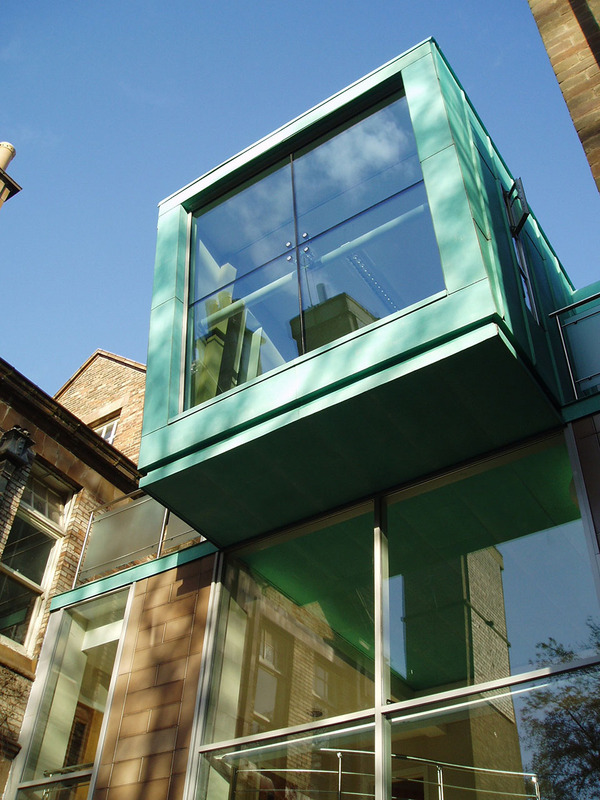 Visitors are directed towards a high level copper clad box, designed to draw the visitor into the building. The invitation is further enhanced by making the copper box appear to float on a glazed panel that also enables the visitor to see the internal spaces and workings of the reception as they approach. 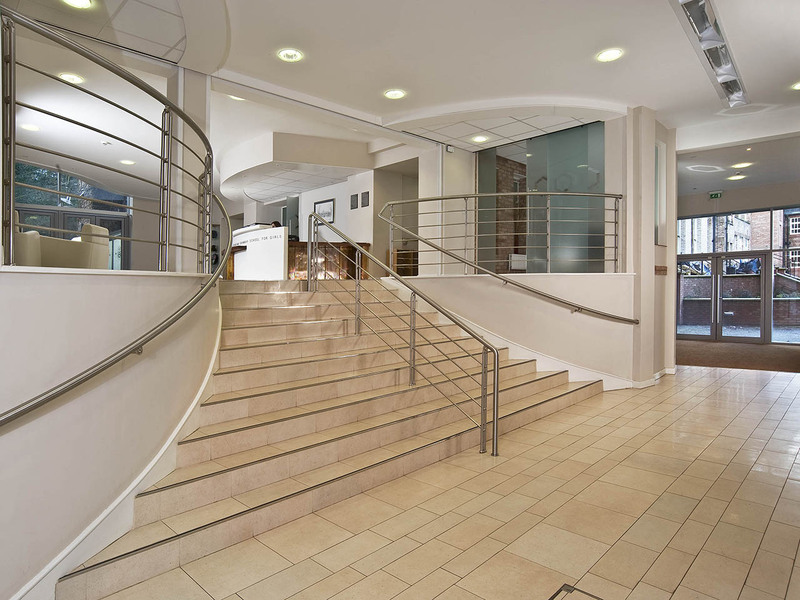 The reception area has been designed to reflect the aspirations of a progressive, modern school, expressed in a contemporary manner that also respects the quality of the adjacent school buildings. The new staff rooms and laboratories form the third side of a peaceful courtyard. The design here compliments the existing architecture using finely detailed brick and terracotta construction.